"It’s just that I feel so sad these wonderful nights. I sort of feel they’re never coming again, and I’m not really getting all I could out of them." My fascination with all things stage door started a long time in to my Cats obsession. I'd seen the show twice in the West End and watched the video countless times but I was still young when it closed in the West End. 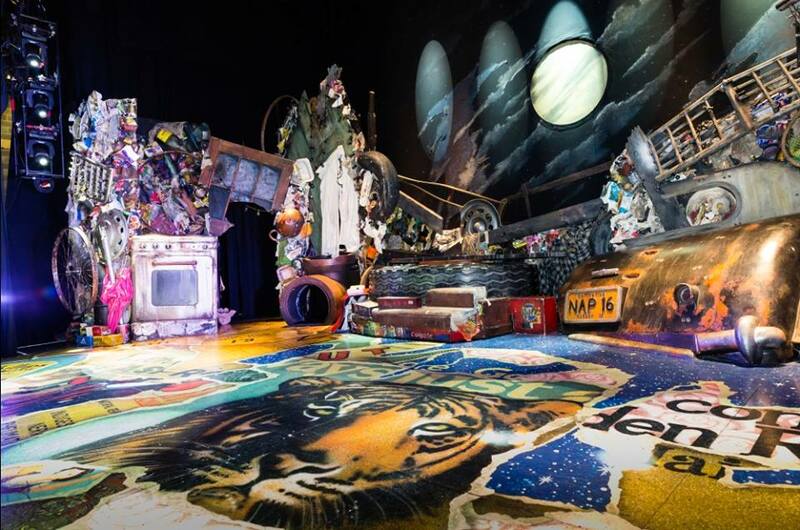 Old enough to realise that actors were not their characters, but not quite old enough to really have thought about what that meant; the cast of Cats were not untouchables who never left the theatre, but actually people, people who went home after the show and who did all these amazing things then simply drifted out into the night. People who would care if someone came to the stage door just to tell them how amazing their performance had been. Back then, to me, when the show was over it was over, you just went home, and you had no way of thanking those people or reaching out to them. I didn't even know what 'stage door' or 'stagedooring' really meant. 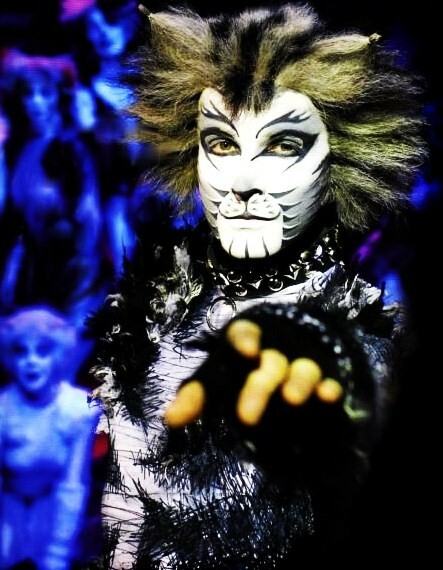 It had made me terribly sad when Cats closed in the West End - back then I thought that meant the end of the show forever - so when Cats went on its first post-West End tour, my parents were good enough to take me. I forget the year but I remember going to Manchester specially to see it one Wednesday afternoon. I was ever so hyped and excited, and maybe that was the problem, because...for some reason the magic wasn't there. I can't tell you why and I certainly would never dream of criticising the abilities of a cast. But something just didn't click for me. I came away slightly heartbroken and I didn't ask for any more tickets for that tour. But by 2006, I missed the live show so much that I was desperate to see the new tour, even if it that extra magic was still missing. For all my determination to see the show, I was still nervous. I know that sounds ridiculous but I was nervous. Because the show is so special to me, I wanted, so badly, to feel that magic of seeing it live, and to feel it in full rather than in some diminished form. The tour kicked off in Llandudno in April, somewhere that my family happened to go for weekends away every now and again, so when it turned out that the tour was there for my Easter holidays then that seemed like as good a place as any to see what this tour had in store for me. Before it began I was a bundle of nervous and excited tension; I was genuinely happy to be seeing the show live again and nothing could taint that! But I was still holding my breath as the lights went down, willing this cast to capture my heart the way the West End casts had. 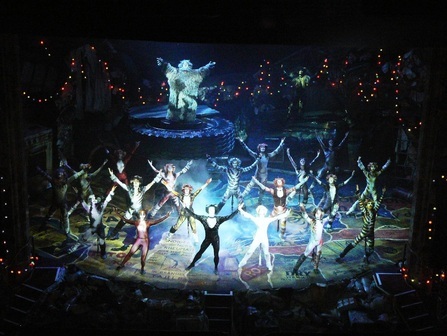 As the Overture started and the cast started to run through the stalls I didn't know whether to grin or cry. But I was cautiously optimistic. I was so caught up in that nervous energy that the Overture was almost a blur. Little did I know it, but something pretty amazing was about to happen; I was about to hear Dean Maynard sing. Llandudno's Venue Cymru has some of the best acoustics of any theatre I've ever been in - the perfect acoustics for someone with a voice like Dean's. As Munkustrap, he stepped forward, sang the show's opening line, and honestly...my jaw dropped. I gasped. I just gasped and glanced over at my mum, wide-eyed. Both of us love a good Munkustrap, but in that moment, we realised that Dean was just another level. That voice of his hung in the air, filling the auditroium and sending shivers down my spine. And instantly, all that nervous tension ebbed out of me. I was able to sit back and watch my favourite show and take in all that magic and wonder and feel it so intensely, so beautifully, that when the lights came up at the end I wanted to dance and cry and laugh all at once. When we got back to our B&B that night, I collapsed on the floor and gushed about how much I'd enjoyed the night. To this day it's one of the best memories I have and whenever I find myself back in Llandudno, the feeling is so strongly associated with that place in my head that that giddy, wistful, joyous, bittersweet feeling always comes back over me and makes me smile. And the impact the night had had on me didn't go unnoticed by my parents. My excitement didn't go unnoticed by my best friend either, and so when the tour stopped by our home town she asked if she could come and see it with me. She'd never seen the show before and I was ecstatic to share it with her. It turned out to be every bit as special as I had hoped; she loved the show and I was just as captured by that cast as I had been in Llandudno. As we came out we were talking at a million miles an hour, and I will never know what made my dad interrupt. 'Would you like to go to the stage door?' It had never occurred to me before - and I do sometimes wonder if he wishes it could have stayed that way, because he's a man who likes his early nights and as a result of introducing the idea of post-show stagedooring he has missed out on a lot of those over the years! But I think he remembered my joy in Llandudno and he saw the excitment my friend and I had in Stoke and he thought that it migt be nice to for the cast to see it too. He could never have known that it would be the start of a long, crazy adventure for my best friend and I that I still continue to this day. Because being at stage door was a revelation: I learnt about the world of the theatre from the other side, and I learnt about the incredible human beings who live in that world and make it what it is. I grew attached to the excitement of travelling to different theatres and meeting different casts, and to letting those casts know just how special they are. Being at the stage door became as much of an event to be as being at the show and it's an adventure which has brought me so many stories, memories, friendships and laughs all of which I simply love to share whenever I get the chance.